After not playing their best basketball in back-to-back wins to open the season, the Clippers got a major wake-up call yesterday in a 92-98 home loss to the Kings. I look for LA to use that as motivation and come out with their best effort of the season against the Jazz. Utah is comes in off an upset home win over the Suns, but had lost each of their first two by double-digits, including a 18-point road loss at Dallas. It’s no secret that the Jazz are not a good road team and they have had more than their share of troubles trying to beat the Clippers. Los Angeles has won each of the last 9 meetings in the series, including 5 straight at home. Their smallest margin of victory in the last 5 meetings is 8-points, so there’s definitely some value here. 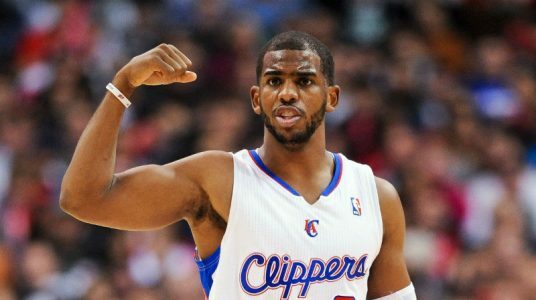 The Clippers are a dominant 20-9 ATS in their last 29 home games against a bad road team that’s winning less than 40% of their games. LA is also a strong 14-3 ATS in their last 17 following an upset loss as a favorite, while Utah is just 11-22 ATS in their last 33 after a game where they covered the spread. These trends combine to form a 71% (56-23) system in favor of the Clippers. Take Los Angeles! Red-Hot 50-38 (57%) Over L88 Football Over/Under Selections! Jimmy Boyd is the #13 Ranked Handicapper Overall in 2014, which has his $1,000 Players Profiting Over $17,000! Take advantage of a huge mistake by the books and cash in a big profit tonight with Boyd’s 4* Colts/Giants NFL MNF Total ANNIHILATOR! You will be betting with confidence behind a DYNAMITE 78% (28-8) System that’s been hitting since 1983! Get in on the action now! You are GUARANTEED TO WIN or you will receive Jimmy’s next football card for FREE!